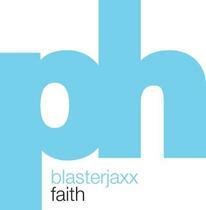 Dutch duo Blasterjaxx are churning out club rockers and radio singles with light speed. After collabs with Billy The Kit on Musical Freedom and with Quintino on Doorn Records, and hailed releases on imprints like Mixmash Records, Dirty Dutch Music and Ultra Music, these fierce Dutchmen are making humongous waves with Faith, their successful debut on Powerhouse Music, the latest asset in the Dutch dance industry operating as the dance division of the Talpa Media Group. Faith may count on the vast support of the biggest DJ’s: Laidback Luke, Chuckie, Quintino, Hardwell, R3hab, Dimitri Vegas & Like Mike and many others all give Faith a warm spot in their international DJ sets. Faith has the back up of Dutch national radio as the single enjoys day-rotation on the biggest broadcasters, and is steadily climing up the Singles Charts and Beatport Electro House Chart.